Last week, I’ve introduced to you the very first partner of Whisper of my Heart - Funlipix - as part of this blog’s additional changes. I’ve said before that changes are a crucial decision and yet, a very important element in order to introduce improvement and to fully elevate the purpose of this blog. And thus, the change has been made. Funlipix was introduced and I’m here again announcing a very important news – the introduction of another partner. Partners that were and will be introduced here are important factors in bridging stronger networks and in order to fully present the purpose of the new page that will be launched so soon. This new page will revolutionize and will heighten the advocacy of this blog. And of course, I need not reveal it yet to you for I must not spoil your excitement. For now, let me go on with this latest news – the introduction of Whisper of my Heart’s latest partner, JB Dela Cruz of Inspire Magic! 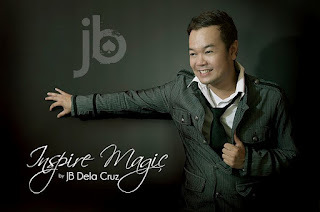 JB Dela Cruz is not really your ordinary kind of magician. He’s got the energy, the humour, and the magic. Using these three elements, he was able to touch the hearts of many people, which made him stay in the business for more than 15 years already. With his achievements as a magician and as an entertainer, he has been given a very rare opportunity for magicians and that is... to become a member of the prestigious International Brotherhood of Magicians. This elite group is where top calibre magicians like David Blaine and the like are part of. So much for an achievement! Aside from his magical prowess, JB Dela Cruz is also known as a good servant of change for he has joined U! Happy Events (a foundation for kids) in 2007 and became part of the board in 2008. With this foundation, he was able to make a difference in the lives of kids coming from different sector for several years already. So, this means that he's not just a magician for he was able to carve both magic and inspiration into the hearts of the kids. 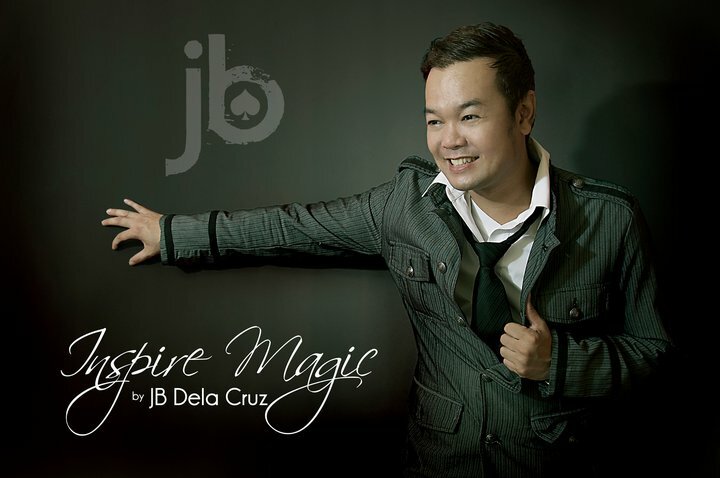 Meet and greet JB Dela Cruz and get inspired by his magic NOW! Click The banner below.